The cosy room was newly renovated and features a lockable door. Two comfortable double beds are provided as well as hanging space for personal belongings. An air bed is available on request. 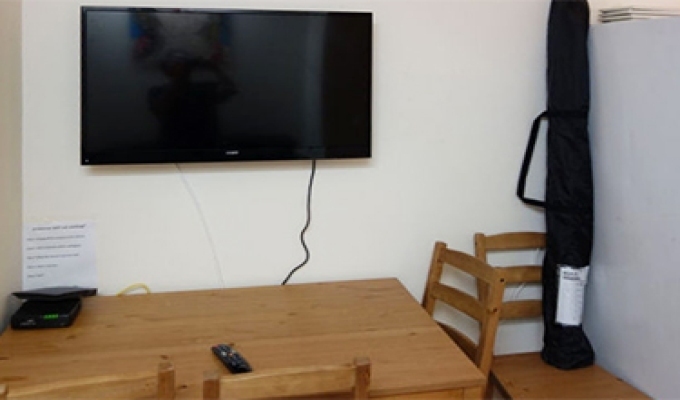 Wi-Fi and a flat-screen TV with basic channels are provided in the communal living room. Also shared spaces are the bathroom and kitchen.